Cover reveal for I AM A THIEF! Yay! 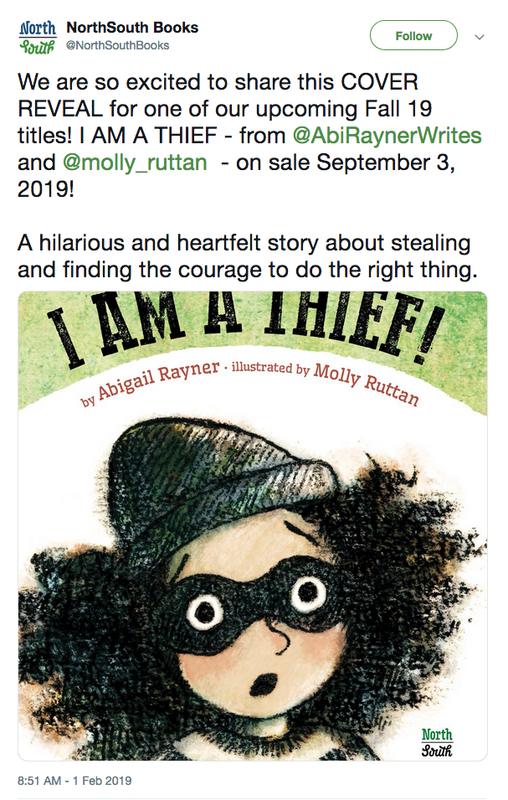 SO excited to announce that I will be illustrating I AM A THIEF, a picture book written by Abigail Rayner, acquired by NorthSouth Books! It's due to come out the fall of 2019. The SCBWI Illustrators Day hosted by the Central Coastal Region in Thousand Oaks, CA included a portfolio showcase. My portfolio won runner up for Best Portfolio! Judging the contest were Maria T. Middleton, middle-grade Art Director for Random House Children’s Books, and Antoinette Portis, author illustrator of Not A Box, an ALA Geisel Honor book. A huge THANK YOU to them both, as well as to all the wonderful SCBWI regional directors & volunteers, who's planning and hard work resulted in a really nice event. Maria & Antoinette both gave very inspiring and informative presentations. It was an amazing day! I am thrilled to announce that my picture book THE STRAY has been acquired by Nancy Paulsen Books/Penguin Random House! It is due to come out the summer of 2020. I am absolutely delighted to announce that I have an agent! I am being represented by Rachel Orr at Prospect Agency, a New York based literary agency. Check out their portfolio page here! I couldn’t be happier! Rachel is amazing, and we have hit the ground running. A big THANK YOU goes out to everyone who organized and attended the conference!! And also to the judges, Melissa Manlove, Editor at Chronicle Books; Clelia Gore, head of the kid lit division at Martin Literary Management; Eliza Wheeler, author/illustrator; and Brian Won, author/illustrator. Last but not least, a big thank-you to the LA County faculty, Sally Jones Rogan & Nutscell Anne Windsor, Co-Regional Advisors; Kim Wildman, Assistant Regional Advisor and Lisze Bechtold, Regional Illustrator Coordinator. My portfolio was awarded Honorable Mention at the SCBWI Rocky Mountain "Lines & Letters" conference. Big thanks to all the wonderful people in the RMC SCBWI! Another big Thank You goes out to to Minju Chang, agent at Book Stop Literary; Stephanie Pitts, Editor at G.P. Putnam's Sons (Penguin Young Readers Group); Judy Schachner, Author/illustrator; Andrea Spooner, Editorial Director at Little, Brown Books for Young Readers; and Sylvie Frank, editor at Paula Wiseman Books, (Simon & Schuster) for judging the contest. THANK YOU! I also had the greatest pleasure in attending the event with my niece Nina Moldawsky, who is an amazing up-and-coming writer of YA. Go Nina! 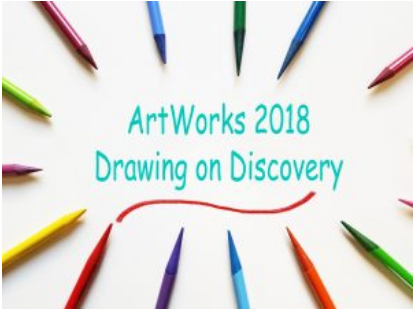 Note: This interview was originally published on the Kidlit Artists website, a home to recipients of the SCBWI LA Summer Conference Illustration Portfolio Mentorship Program, founded by the 2010 Mentees. 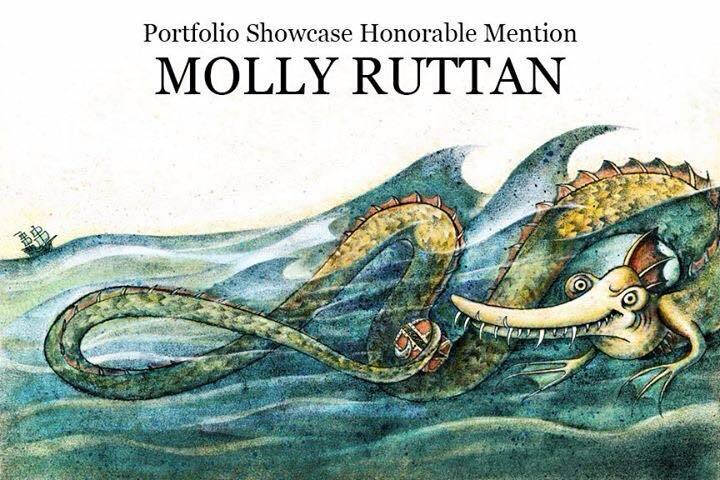 Molly Ruttan was the recipient of the SCBWI Mentorship Award at the 2015 Summer Conference. Kidlit Artists would like to officially welcome Molly to the blog, and ask her a few questions about the Mentorship experience and about what she is up to these days. Q: Did the feedback you received during the mentorship critiques either change or confirm the direction of your illustration? Are there any specific examples you can share? A: First, I want to thank all the mentors for their time and dedication to the mentorship program, including Cecilia Yung, who led the mentorship events. Needless to say, I was totally thrilled to have my portfolio selected. It was a profound honor to receive insight from these great masters of the craft. I'm a #LA15SCBWI Illustrator Mentorship Winner at the 44th Annual SCBWI Conference in Los Angeles!! A big THANK YOU goes out to SCBWI for creating this amazing program. Special thanks to Cecilia Yung, Art Director and Vice President at Penguin Books for Young Readers, who led the mentorship events the day of the conference. And thank you to the judges: Laurent Linn, Art Director at Simon & Schuster; Paul Zelinsky, Author/Illustrator; Pat Cummings, Author/Illustrator; Peter Brown, Author/Illustrator; and Brenda Bowen, Agent at Greenburger Associates. I’d also like to thank David Diaz, who is an invaluable and inspirational leader to all of us mentees. © 2017 Molly Ruttan Illustration. All rights reserved.